The Singapore government has put in place a new subsidised pancreas transplant programme (Thinkstock photo). A pancreas transplant is a surgical procedure where a functioning donor's pancreas is transplanted into a suitable recipient, and the recipient's own pancreas is left in situ. Conceptually, this is the same as kidney transplant where a donor kidney is transplanted while not removing the recipient's two kidneys. Pancreas transplant is typically performed in a very select group of recipients with Type 1 diabetes and kidney failure, as a simultaneous pancreas and kidney transplant with two donor organs. Type 1 diabetes occurs when the pancreas can't produce enough insulin, a hormone that regulates the absorption of sugar (glucose) into the cells. With a lack of insulin, blood sugar levels stay high, potentially leading to diabetic complications such as amputations, blindness, heart disease and stroke. Also, with long-standing diabetes, kidney failure can set in, necessitating dialysis for such patients. Diabetes is a major cause of renal failure in Singapore and worldwide, and the incidence of diabetes is at a 12-year high of 11.3 per cent in Singapore based on the latest national health survey. "The main objectives of pancreas transplant are to eliminate the patient's dependency on insulin, to improve the quality of life and to reduce long-term diabetic complications. 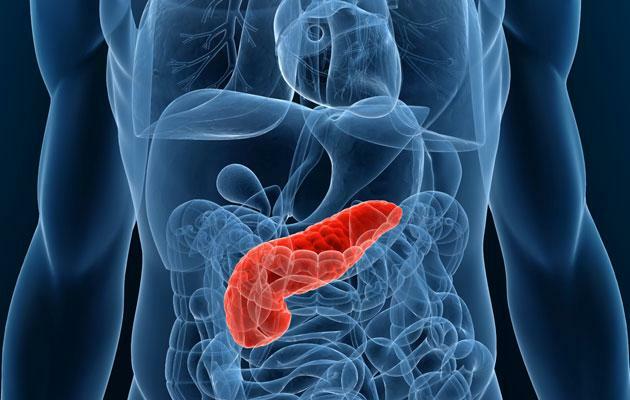 Pancreas transplant has been shown to prolong survival in patients with diabetes and renal failure," explains Dr Victor Lee Tswen Wen, Consultant Surgeon (Hepatobiliary & Transplant), Department of General Surgery at Singapore General Hospital (SGH). "In addition, the dual pancreas and kidney transplant offers an elegant solution for Type 1 diabetic patients with kidney failure, requiring one surgical episode while curing the diabetes and the kidney failure." A pancreas transplant can cost between $80,000 and $100,000. To help patients, the Ministry of Health (MOH) has launched a national pancreas transplant programme which will defray more than half the cost of pancreas transplants for Singaporeans and permanent residents. Called the Pancreas Transplantation for Insulin-Dependent Diabetes Programme, it has been jointly awarded to SGH and National University Hospital (NUH). Starting in 2012, this pilot programme will run for five years. "We anticipate being able to perform 4 or 5 such transplants per year in Singapore. That should allow us to meet at least 50 per cent of the annual predicted need for such surgery, as the incidence of type 1 diabetes with kidney failure is about 10 to 15 patients per year," says Dr Lee, who is also the Director, Pancreas Transplant Service, SingHealth Transplant and Co-Project Director of the MOH Pancreas Transplant Fund. Most pancreas recipients will be in their 30s and 40s and will have had diabetes for more than 20 years. They will need to take life-long medications to preserve the pancreas graft. Depending on the patient's condition, there are 3 main scenarios for pancreas transplants. Simultaneous pancreas & kidney transplantation: Some patients may have end-stage kidney disease due to their Type 1 diabetes. "They already are on dialysis and may be awaiting a kidney transplant," says Dr Lee. "That's when a pancreas transplant may be combined with a kidney transplant." The Pancreas Transplant Programme in Singapore will offer priority transplant to patients who qualify for simultaneous pancreas & kidney transplant. "Such a priority allocation is necessary as these patients face a significantly higher mortality risk compared to recipients of kidney alone transplant." Pancreas transplant alone: This type of transplant is suitable for Type 1 diabetics who have significant or life-threatening complications, such as frequent and severe episodes of hypoglycaemia or hypoglycaemic unawareness, a complication where the patient's body doesn't give any warning in case of a deep drop in blood sugar. Pancreas after kidney transplant: This transplant is for Type 1 diabetics who already have a successful kidney transplant, and intend to be insulin-free from their Type 1 diabetes, avoiding long-term diabetic complications. The first justification for pancreas transplant is the greatly increased odds of survival. "At present, without transplant, the 5-year survival rate for patients who have Type 1 diabetes and end-stage renal failure is a mere 38 per cent in Singapore. With transplant, the 5-year survival rate is above 90 per cent in most established pancreas transplant units," says Dr Lee. Recipients of simultaneous pancreas & kidney transplant can expect to live 10 years longer than diabetic patients who only receive a kidney transplant," he adds. With a functioning pancreas graft, patients will no longer need insulin therapy and can thus benefit from a much improved quality of life. The transplant may also minimise long-term diabetic complications like retinopathy, nephropathy and neuropathy. Dr Victor Lee is a surgeon gazetted to perform multi-organ transplant surgery. He underwent his fellowship training in transplant surgery at the Royal Infirmary of Edinburgh, United Kingdom in 2008 and 2009. He is presently a consultant surgeon at the Singapore General Hospital, and visiting consultant to the National University Hospital. His clinical interest and skills are in the areas of transplant surgery, hepatobiliary pancreatic surgery and laparoscopic surgery. SingHealth Transplant is comprised of nine well established transplant programmes which cover major organs and tissues. To date, the transplant teams have performed more than 5,000 transplants, giving new life and hope to patients and their families. The transplant programmes under SingHealth Transplant includes Heart, Lung, Kidney, Liver, Pancreas, Cornea, Skin, Cardiovascular Homograft, Haematopoietic stem cell and Umbilical cord blood. This article was written by Jaclyn Lim for Health Xchange, with expert input from the Department of General Surgery at Singapore General Hospital (SGH). Find more health-related tips and articles on HealthXchange.com.sg, Singapore's trusted health and lifestyle portal. Health Xchange's articles are meant for informational purposes only and cannot replace professional surgical, medical or health advice, examination, diagnosis, or treatment.